High Quality and Extreme Protection ! 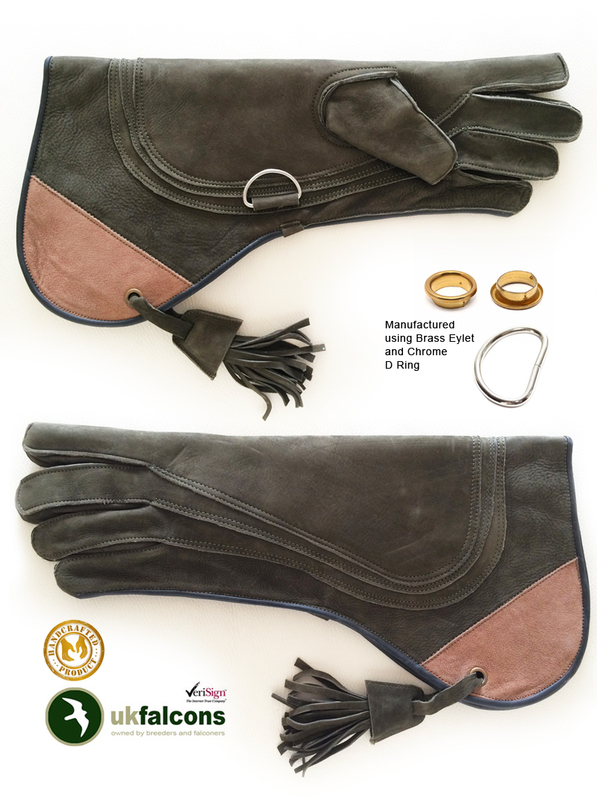 The Aguila-Extreme eagle falconry glove has been specially made for large "footprint" eagles and vultures. Measuring 17" inches in length, and covered with 4 layers of high quality supple leather on the footprint, this glove is a major benefit to handlers of large birds of prey. This robust glove is fully torque stitched and features a hidden thumb seem for added durability. The high quality leather selected for this glove is rendered in olive green and finished in the inside with black grained washable leather.....Stunning presentation for the professional!